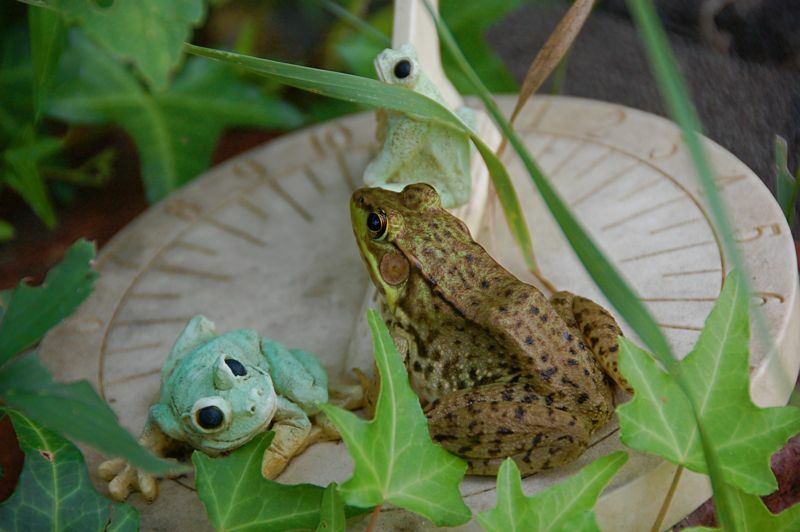 My frog sundial has gotten a bit overgrown, it's not much use as a sundial right now. This frog though looks like he wanted to check out the other frogs who always play on the sundial. Actually, the mischievous looking sundial frog looks like he is planning something for the unaware real frog. Maybe they are like in the movies where they all come to life under the light of the moon or some other cosmic event. Like the saying goes, "It's a new generation, baby".